Webroot is a Colorado-based company which has been developing privacy and security software since 1997. It's made some interesting acquisitions over the years, including buying the UK-based PrevX back in 2010, and today the company offers a full range of home and business antivirus packages with the SecureAnywhere brand. Webroot SecureAnywhere AntiVirus has an appealing feature list: real-time threat protection, anti-ransomware, URL filtering, real-time anti-phishing, and a sort of firewall thrown in. The package is exceptionally lightweight. Checking out the Webroot folder on our test PC revealed a single 3.77MB executable, an INI file, and nothing else at all. Claimed scan times are almost as impressive at an average of 20 seconds, which the company suggests is up to 60x faster than competing products. The price is a little higher than average at £22.50 ($29.25) for a one-year, one-device license, rising to £30 ($39) on renewal. That's fractionally cheaper than Bitdefender (£30/$39 with no introductory discount), but more expensive than Kaspersky Anti-Virus (£22.50/$29.25 year one, £25/$32.50 on renewal) and Trend Micro Antivirus+ Security (£20/$26). Adding more devices or years to the license brings significantly better value, though. For example, a three-year, three-device (PC or Mac) license costs £90 ($119), which works out at a minimal £10 ($13) to protect one device for a year. Webroot doesn't require credit card details to use its trials, but you will have to register with your name and email address. The website then provides you with a download link and 14-day license key. Installation is speedy, which is no surprise when the package is so lightweight that there's almost nothing to do. 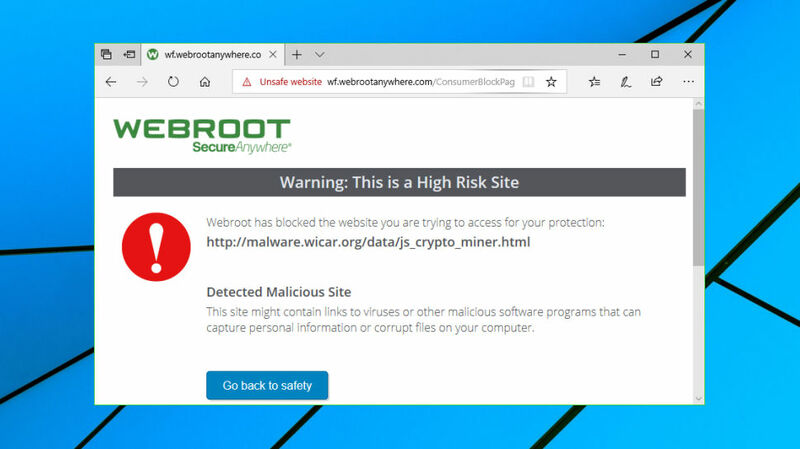 Webroot doesn't mind if you have another antivirus installed, either – our test system was already protected by Trend Micro Antivirus+ Security, but the installer didn't notice or complain. After setup is complete, Webroot launches and runs an initial system scan. This took under a minute on our test PC, but still found a couple of adware-related items on our test system which other antivirus products typically ignore. 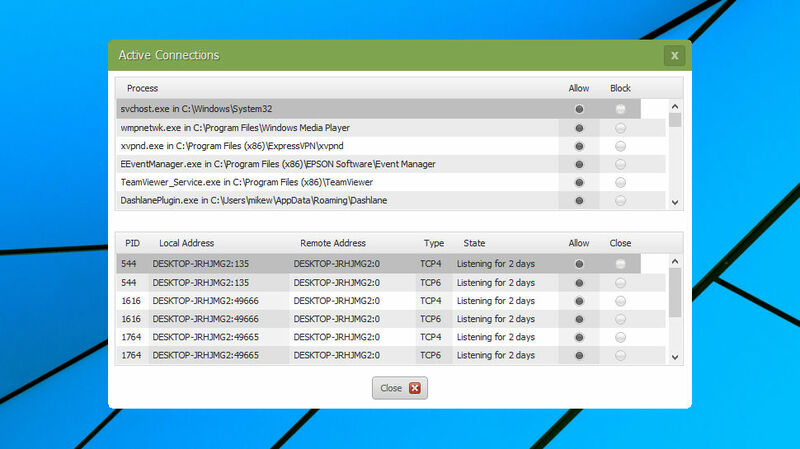 You can review or deal with any results in a click or two, then leave Webroot to get on with protecting your PC. Whatever you're doing, it doesn't look like Webroot will have much impact on your system resources. The package added only two background processes to our PC – one user application, one service – which typically consumed under 10MB RAM, just about as undemanding as an antivirus can be. SecureAnywhere AntiVirus looks a little complicated at first glance, with a host of panels, buttons, switches and icons to explore. That's not necessarily a problem, though – experienced users might prefer all available options to be visible upfront – and anyway, in most cases the program is very straightforward to use. 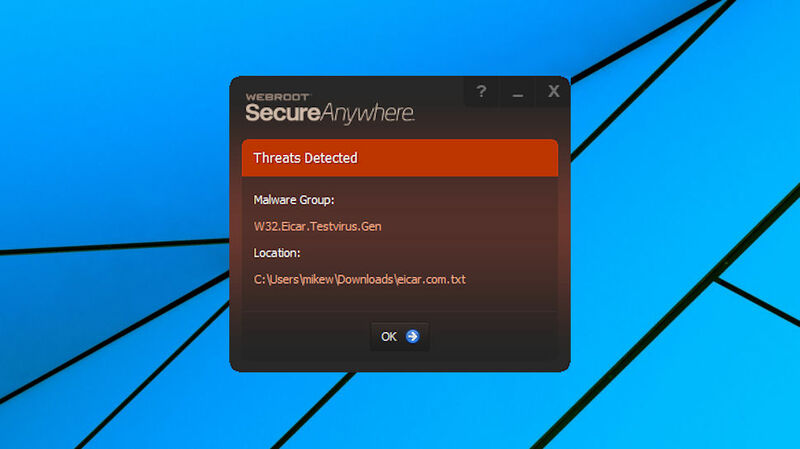 Simple scans can be launched from the very large and obvious Scan My Computer button, for instance, or by right-clicking Webroot's system tray icon. There are multiple other scan types, including Quick (RAM only), Full (local hard drives), Deep (look for rootkits, Trojans and more) and Custom (scan specific files or folders), although Webroot buried them so deeply in the interface you may never realize they exist (you have to click PC Security > Settings > Custom Scan to see what's on offer). Our scan times couldn't get close to the 20 seconds claimed on the website, with even the Quick scan averaging 50 seconds on our test system. That's not bad, though, and we were surprised to see that even the Deep scan was relatively speedy at 50-75 seconds. Detection rates were good, too, with the program picking up all our sample threats, although it did also raise some false alarms over a few legitimate downloads. Alternatively, you can scan any file, folder or drive by right-clicking it from Explorer. This also runs the equivalent of a ‘full scan’ in other packages, checking every single file. It's much slower than the usual optimized Webroot scan, but might be useful if you want to be completely certain that the target is threat-free. URL filtering combines Webroot's vast database of malicious websites (the company says it adds 25,000 new ones every day) with real-time anti-phishing to keep you safe from harm. Testing this is difficult, but the module did a solid job for us, regularly blocking malicious sites which Google Chrome and Windows SmartScreen missed. The program offers what Webroot calls a firewall, but it doesn't have any of the usual low-level geeky settings for protocols and ports. Instead, SecureAnywhere AntiVirus does most of the hard work, looking out for new and untrusted processes connecting to the internet, warning you about new connections made by untrusted applications and asking you to approve or deny them. Experts won't be impressed by the lack of control, but otherwise this is a welcome and unusual addition to any antivirus package. Elsewhere, a background Identity Shield hardens browser sessions to protect you from keyloggers, screen grabber attacks, clipboard snooping and other attempts to steal your data. To test this, we ran a simple freeware keylogger while browsing with Chrome. When Identity Shield was off, the keylogger could record URLs, usernames, passwords and anything else we typed. When Identity Shield was on, it successfully blocked recording of the alphanumeric and symbol keys, leaving our log containing only references to the spacebar, Enter and Ctrl. 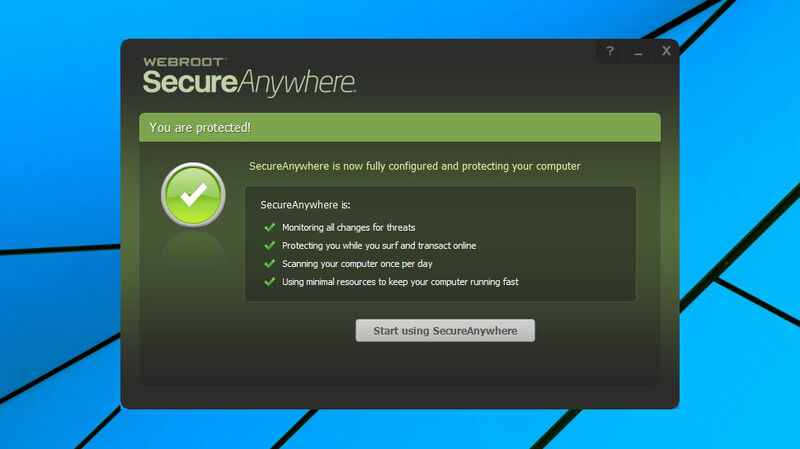 Although Webroot doesn't boast about them, SecureAnywhere AntiVirus also has some surprising bonus tools, like a sandbox that lets you run dubious programs in an isolated environment, which makes it more difficult for them to modify your system. An Antimalware Tools dialog provides a utility to remove suspect programs manually, along with their associated Registry entries. It's not a full Revo Uninstaller, but the results are similar. Convenient system repair features include an option to ‘Set system policies to defaults’. If malware or anything else has disabled Task Manager, Regedit, or imposed some other policy-type restriction, Webroot will fix it with a click. The SecureAnywhere interface does a poor job of highlighting these tools. We wouldn't expect to find a sandbox or a Reports list in a section titled System Control, for instance. We had to browse every area of the program to properly understand everything it could do. You only have to do this once, though, and overall, expert users will appreciate Webroot's many unusual and powerful extras. SecureAnywhere AntiVirus aced our simple malware detection tests, but that only gives us a basic idea of the program's virus-squashing chops. To see the bigger picture, we would usually examine how Webroot was ranked by the major independent testing labs. Unfortunately, big-name labs like AV-Comparatives and AV-Test haven't looked at Webroot in years. The problem, in part, is the testing procedure. This typically runs a malware sample, marks it a success if it's blocked immediately, or a fail if it runs. But Webroot doesn't work this way. Often it allows a sample to run and looks out for suspect behavior before it kicks in. You're still protected – SecureAnywhere can remove the threat and reverse what it's done, sometimes even restoring files encrypted by malware – but the test scores it as a fail anyway. There's an exception in SE Labs Home Anti-Malware Protection reports, although this doesn't make comfortable reading. This uses a more flexible scoring scheme which should, in theory, better reflect how Webroot works. But the results are disappointing in the extreme, with, for example, the July-September 2018 report placing Webroot bottom of the 13 contenders (even Windows Defender did significantly better). There's better news with MRG Effitas, which occasionally includes Webroot in some of its tests. The Q2 2018 MRG Effitas 360 Degree Assessment & Certification report is a relatively conventional real-world detection test, but considers threats that are behaviour-blocked over time, as well as detected immediately. This more closely reflected what we'd expect from Webroot, with the report showing that it detected only a small number of threats immediately, but picked up the others via behavior blocking, and didn't miss anything in the critical Full Spectrum or Ransomware tests. To round off our picture of Webroot SecureAnywhere's abilities, we decided to match it against our own custom ransomware simulator. As we had developed this ourselves, the package wouldn't be able to spot it from any predefined signature or pattern, making it an interesting test of Webroot's behavior monitoring. The results, unfortunately, weren't good. SecureAnywhere ignored our simulator entirely, allowing it to encrypt thousands of files and gigabytes of data. We can't mark the package down for this, because our test threat wasn't real malware, and we can't be sure why Webroot didn't pick it up. But what can say is that other antivirus applications have done much better. Trend Micro Antivirus+ Security, for instance, not only killed our simulator within seconds of launch, but it also recovered the three files it had managed to encrypt. There's clearly a mixed picture here, then. The MRG Effitas report largely matches our general experience, where SecureAnywhere's smart technology reliably detects and blocks most threats, while having minimal impact on system performance. But other tests raise significant questions about its reliability, making the product more difficult to recommend. This is an amazingly lightweight tool with accurate URL blocking and powerful bonus features. However, independent testing results range from good to very poor, which is a concern. 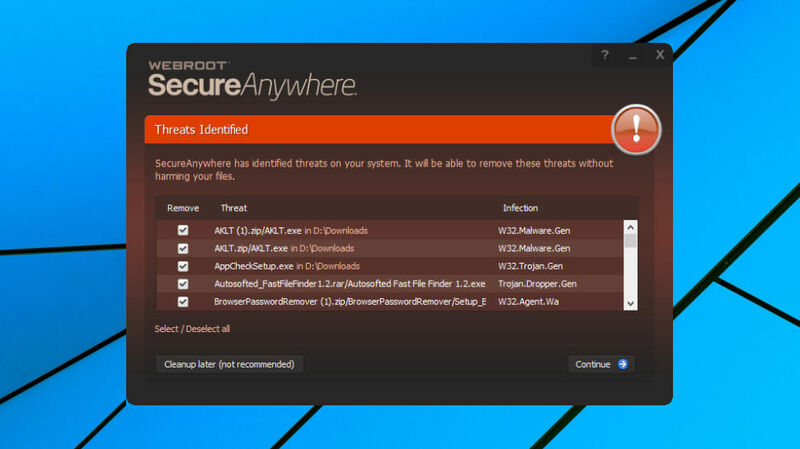 That said, Webroot worked well for us, and runs happily alongside other antivirus products. If nothing else, with a little work you can run it with Windows Defender, and the combination should do a great job of keeping you safe.